Alexandria Ocasio-Cortez is one of the biggest stars in the Democrat Party. Pundits are speculating about her future and a Presidential run down the road. But that all changed when a brand new poll slapped Ocasio-Cortez with the biggest surprise of her life. The 2020 Democrat Presidential field is taking shape at this very moment. And Alexandria Ocasio-Cortez is having a major impact on the race. 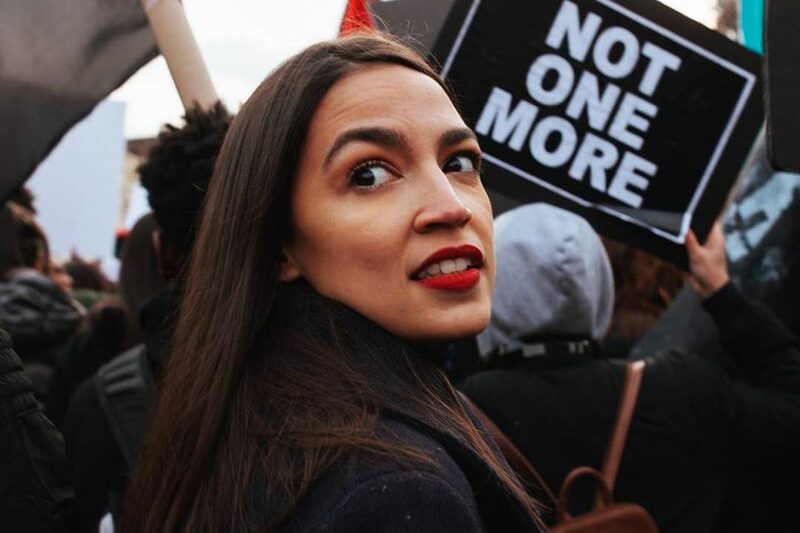 Even though she is ineligible to run because she is just 29-years-old, Ocasio-Cortez’s social media prowess and Soviet-style economic policies are driving the declared-candidates far to the left. Democrats such as Beto O’Rourke and Elizabeth Warren have already adopted her social media live streams made from her kitchen. Other declared-candidates like Kamala Harris latched onto Ocasio-Cortez’s call for a green “New Deal” that would allow the government to take over the economy. 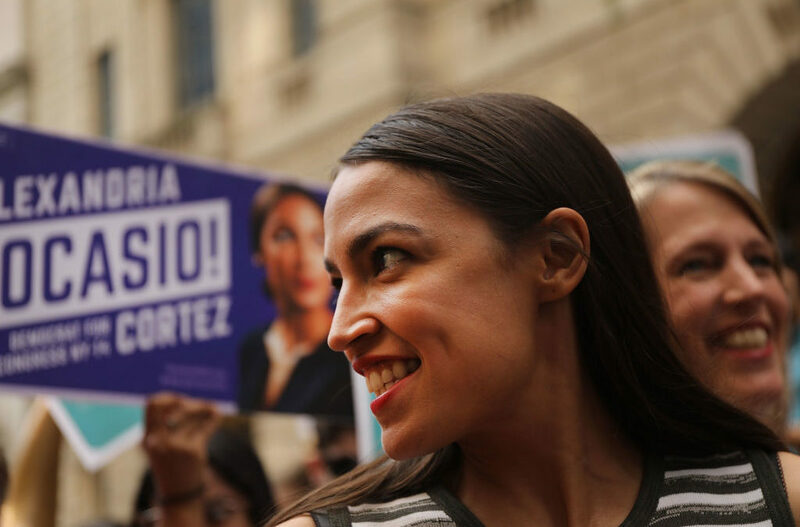 Given that Democrats running for President – or thinking about running for President – are mimicking Ocasio-Cortez’s style and substance, it is no surprise that polls show Democrat voters support the freshmen Democrat from the Bronx running for President. A New Hampshire Journal poll of Granite State voters found they listed Ocasio-Cortez as their second choice for who best represents the Democrat Party. Elizabeth Warren topped the poll, but Warren has a significant home-field advantage given her high name recognition with representing neighboring Massachusetts in the Senate. Ocasio-Cortez even placed ahead of 2016 Democrat nominee Hillary Clinton. Word leaked out over the weekend that Clinton was considering a third Presidential bid. But this poll should be a dagger through the heart of those ambitions. The New Hampshire Journal poll was not the only survey finding Ocasio-Cortez’s popularity with Democrats rocketing into the stratosphere. An Axios/Survey Monkey poll found 75 percent of Democrats would consider supporting Ocasio-Cortez should she run for President. Of course the Constitution mandates Presidential candidates must be at least 35-years-old, which means Ocasio-Cortez is not eligible to run for President until 2028. Ocasio-Cortez’s radicalism threatens to drive the Democrats into a political grave. She favors a 70 percent tax on high incomes. And Ocasio-Cortez sat silently as the socialist policies she supports caused Venezuela’s population to rise up in revolt after the leftist government pushed the country to the brink of anarchy due to famine, corruption and poverty. Finally, Ocasio-Cortez’s support for abolishing ICE and establishing a safe passage for illegal aliens to enter America is a declaration of support for open borders. This agenda is not popular. It will not sell beyond the coastal enclaves already under the thrall of her brand of socialism. While Ocasio-Cortez may be ineligible to run for President because of her age, her presence will hover over the 2020 Democrat primary. Candidates will live in fear of ending up on the wrong end of one of Ocasio-Cortez’s tweets should they express ideas that run afoul of socialist dogma. We will keep you up to date on any new developments.